Our son and his girlfriend took us to a Mexican restaurant in North Beach for Sunday brunch. Later, at the airport, when I couldn’t remember the name of the place, I googled “san francisco mexican brunch” and it came back as the first result. 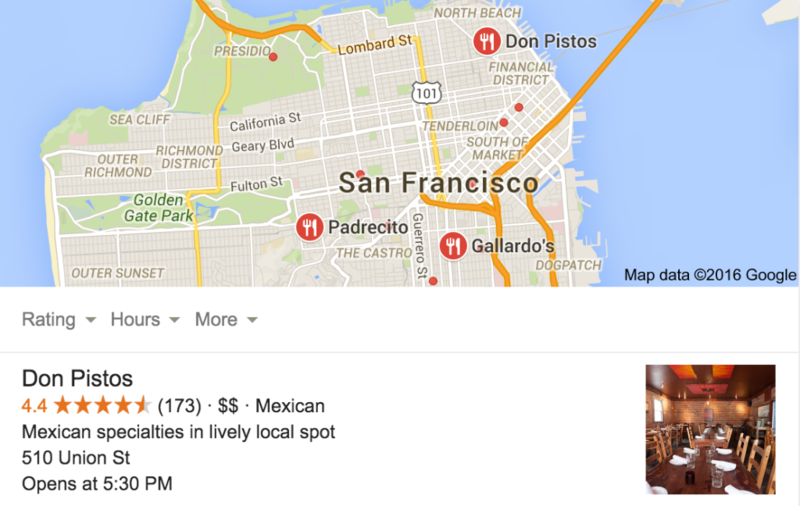 Don Pisto’s is (according to Google) synonymous with Mexican brunch in SF. I can recommend the huevos rancheros, breakfast burrito and the pork tamale and eggs. I also had a margarita. Maybe because I ordered it at the bar and it was poured right in front of me, but there was mucho tequila in the margarita. I don’t always drink margaritas, but when I do, I often order a second one. That option was not even on the table on this occasion.